Mick Jagger and Keith Richards would be proud – Greystones’ finest music collective The Universal Funk Orchestra will be bringing their latest monthly classic album assaults, Thin Lizzy’s Live & Dangerous, to the Big Top next Saturday night, and it’s all in aid of local boy Gavin Glynn. With the renowned Circus Gerbola arriving in Greystones on Wednesday for five days, a chance conversation between the band and this Dublin-based eight-generation of acrobats, clowns and jugglers led to a real-life rock’n’roll circus. 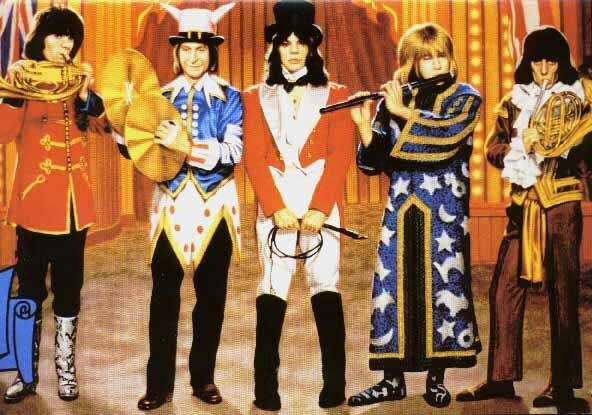 Only this time, in place of The Rolling Stones, The Who and John Lennon, we’re getting UFO, Huegrass and Dylan Crampton. And instead of the whole thing being part of a Christmas 1968 TV broadcast for the BBC, this very special Greystones night is all in aid of an incredible 4-year-old boy who is battling cancer. 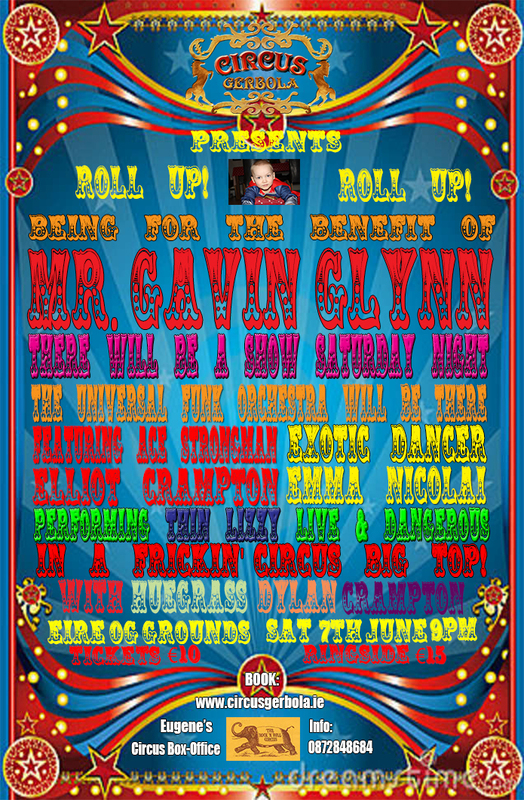 Taking place in the Circus Gerbola’s Big Top – situated at the Eire Og Grounds – on Saturday June 7th at 9pm, tickets are just €10, with a very limited number of ringside seats available for €15. 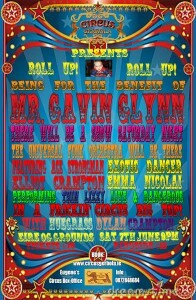 Tickets can be purchased at the Circus Gerbola on-site box-office, or on their official website, circusgerbola.ie (under An Evening For Gavin), or you can pop into Eugene’s newsagents in the town to reserve a seat.